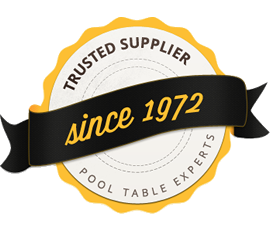 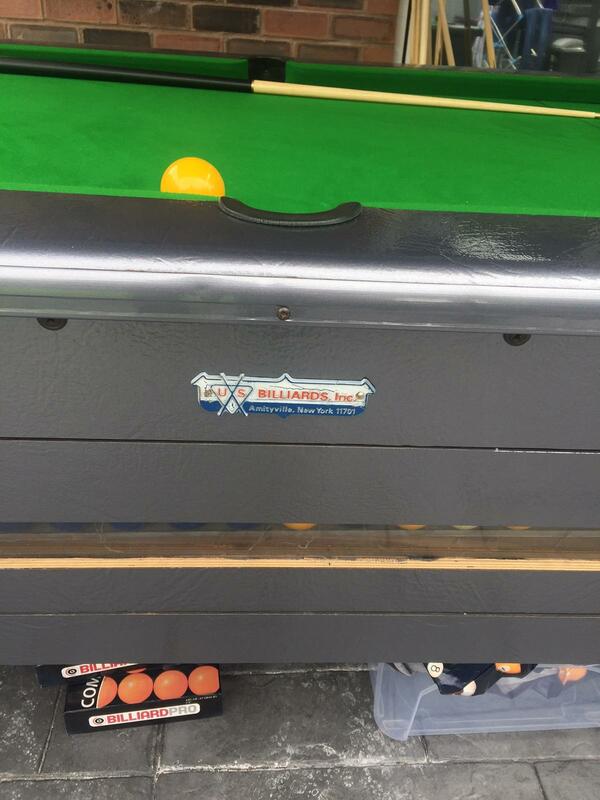 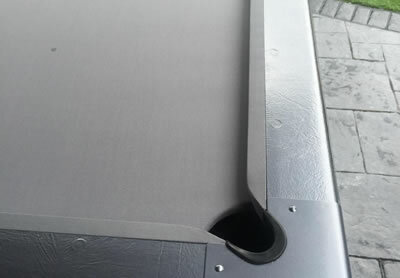 We were recently contacted by a client who had bought a slate bed pool table from a popular auction site. 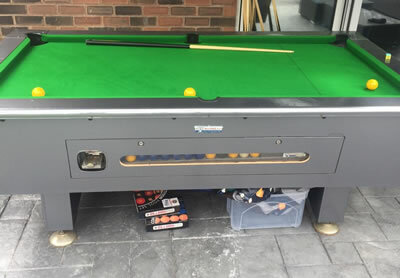 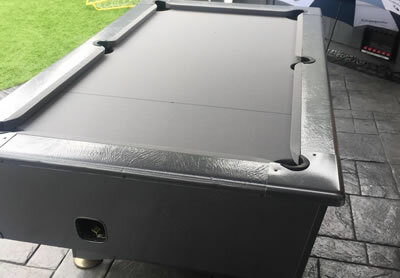 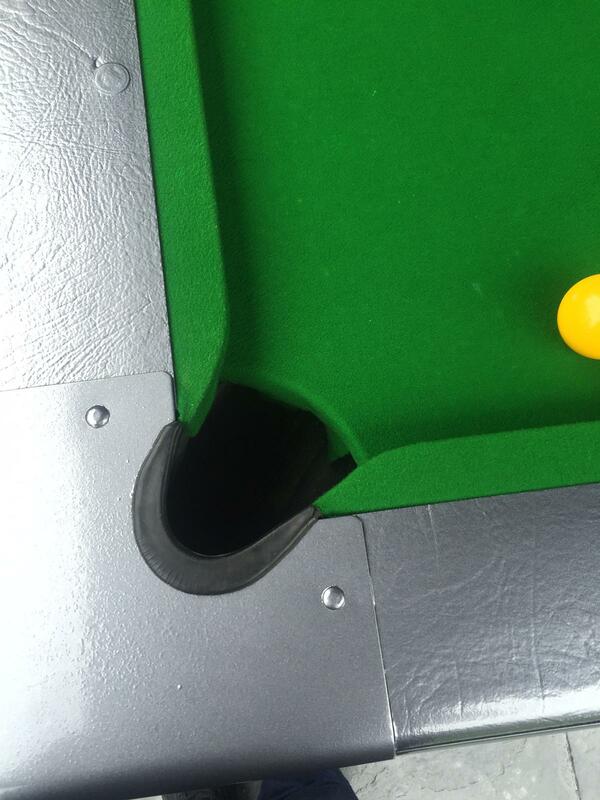 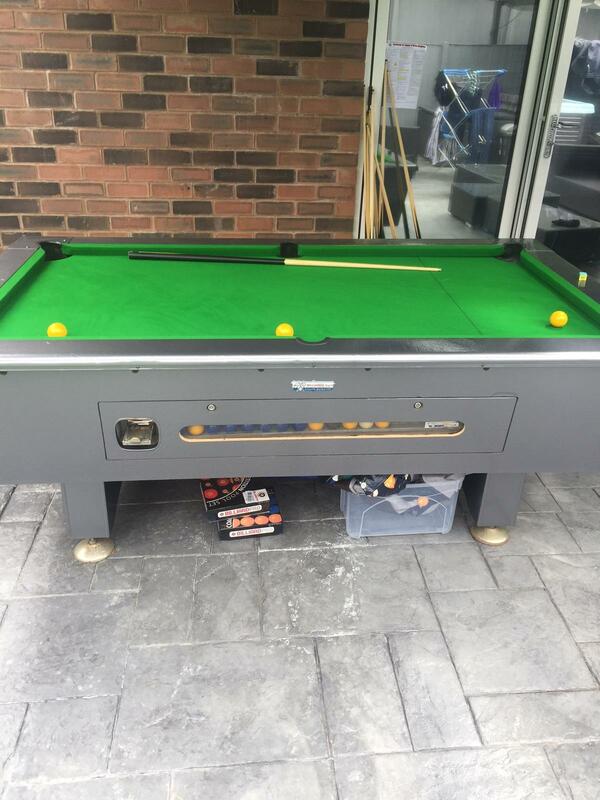 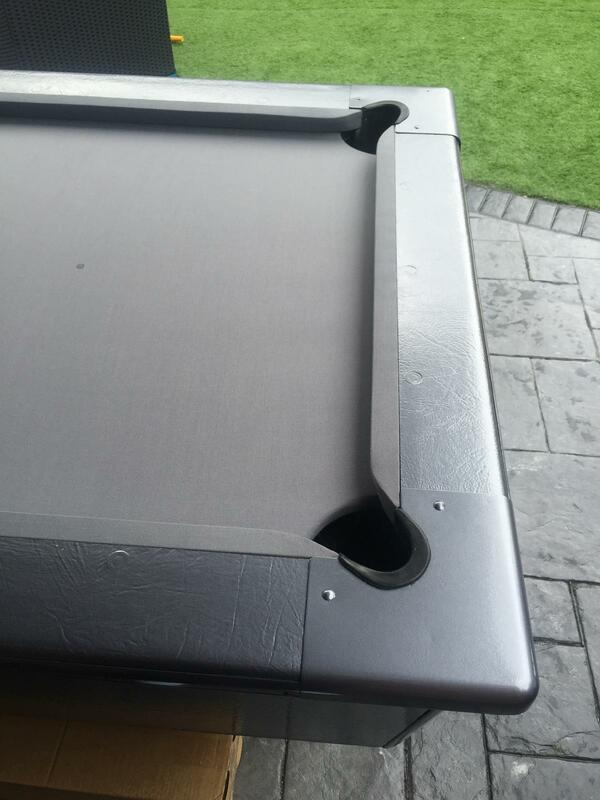 After requesting some pictures and discussing the table with our client it emerged that the table was actually a hybrid, although the main body of the table was a 7ft x 4ft US billiards table, the grey custom top frame was a small ball adaptation. 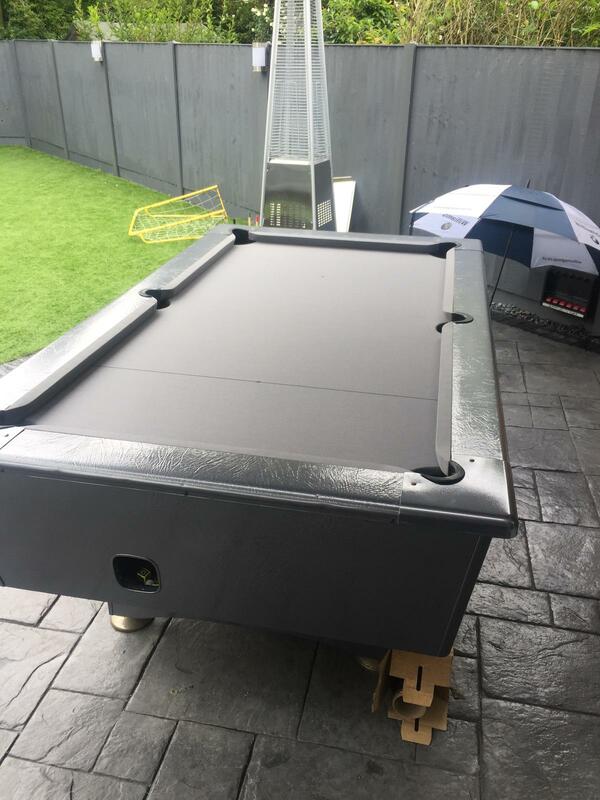 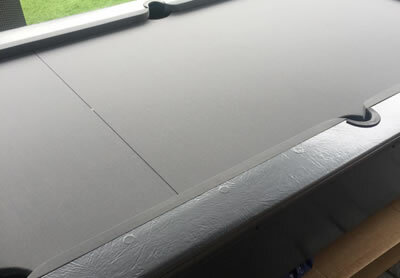 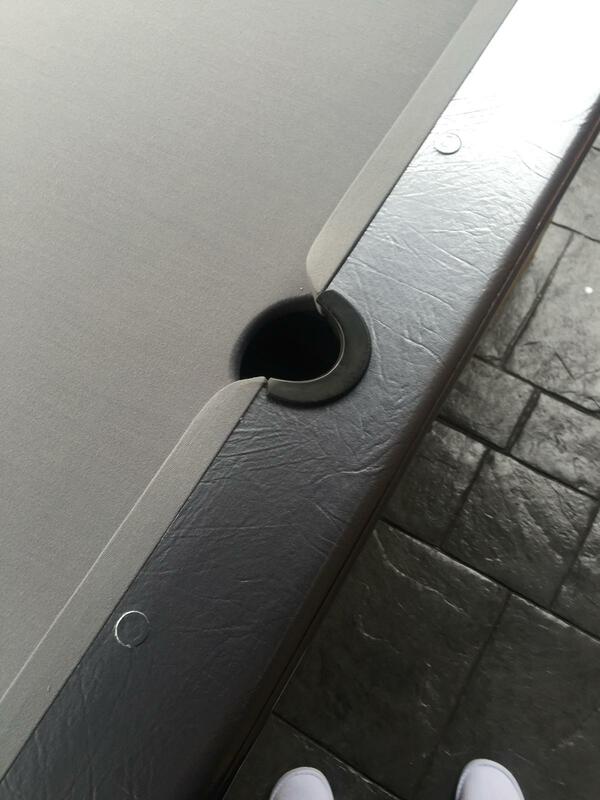 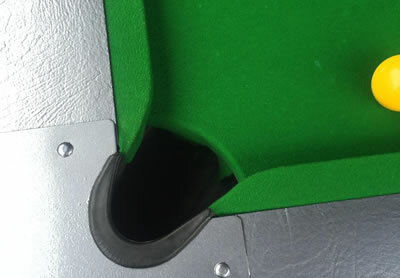 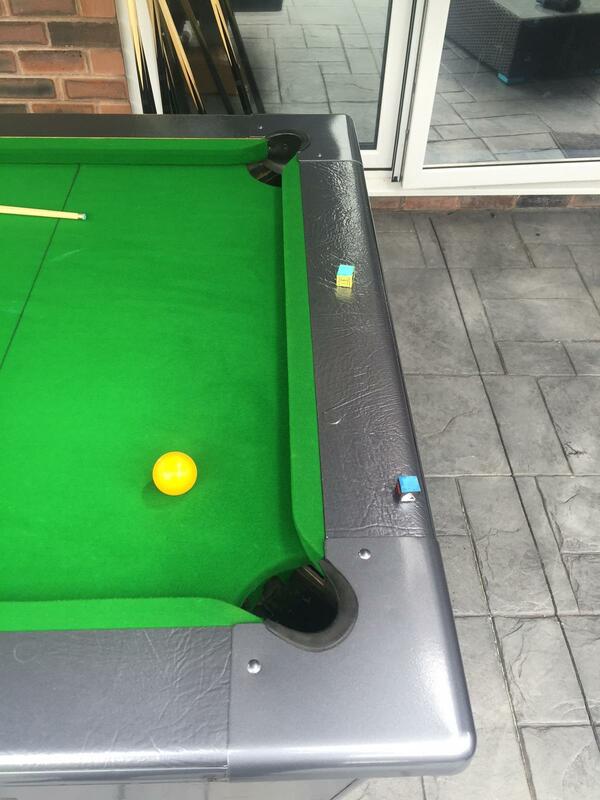 Our customer has a 'grey' themed patio and leisure area where the table stays undercover. 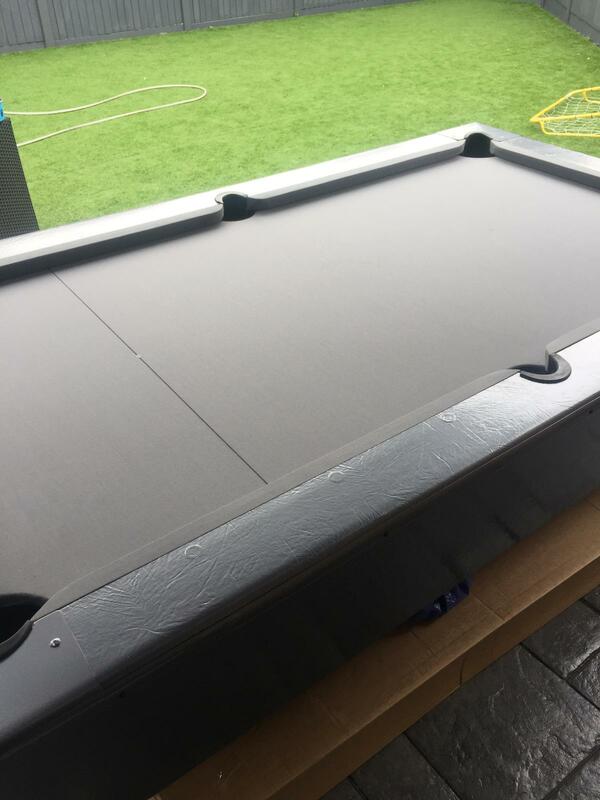 The choice of Elite Pro grey nylon speed cloth complements both the table and the leisure area. 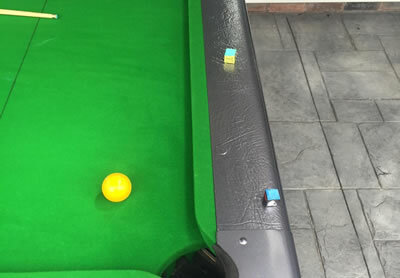 We also supplied 2 sets of new 2" Aramith pool balls in reds/yellows and spots/stripes. 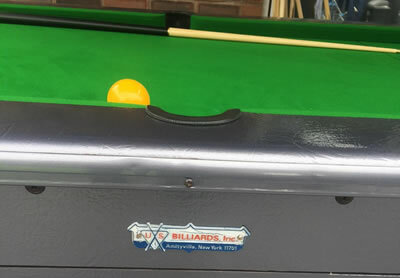 They will give many years of quality play and he also saved a lot of money on postage costs. 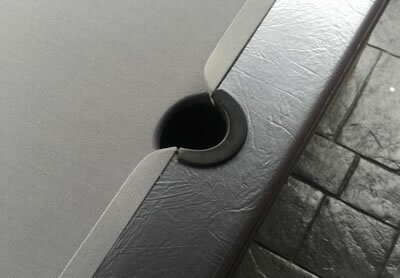 The pictures of the recover arrived with a heartfelt thank you from yet another satisfied client.